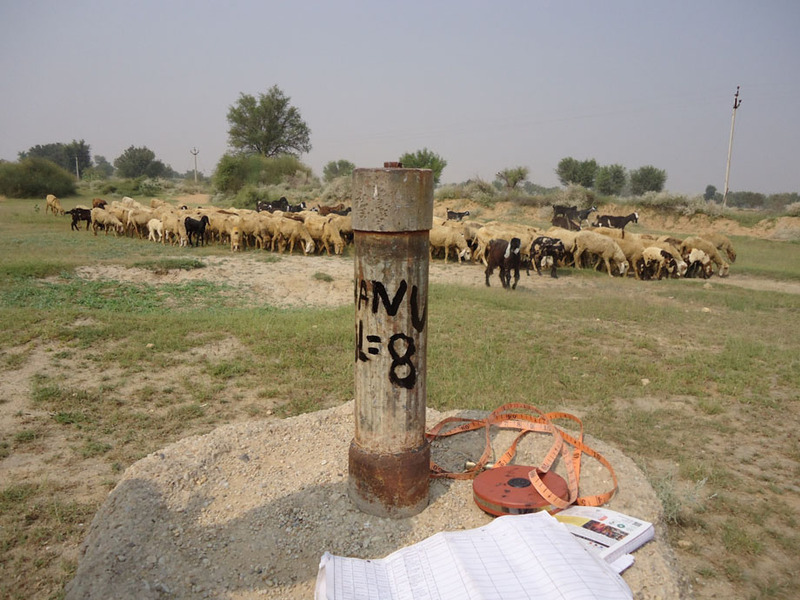 Consulting agency for undertaking "Ground Water Level Monitoring of District Key Wells (Ground Water Monitoring Stations) under Districts- Bikaner, Churu, Hanumangarh and Sriganganagar for Management of Ground Water Resources"
Project period is one calendar year starting from October 2013. Ground Water Monitoring Project is divided into four phases. Each phase involves monitoring of water for every three months which includes water level measurement, condition of wells, collection of water samples and chemical analysis of water for checking the levels of Fluoride, Nitrate, Electricity Conductivity and other minerals. A state partnership program is being executed in the state of Rajasthan with assistance from the European Union. Under the program various activities related to water including ground water is being implemented. The fact about available water including ground water in the State is very critical as already known to all. Surface water resources are meager and the entire State is principally dependent on ground water. Ground water resources are depleting day by day because of overuse and lack of awareness among the common man. Rajasthan state as compare to other states has more dependency on ground water. So proper monitoring is must when it comes to ground water resources. Navyug Vikas & Anusandhan Sansthan's work is to provide consultancy services for the ground water stations (Bikaner, Churu, Hanumangarh and Sriganganagar). Ground Water Monitoring Project is divided into four phases and it's a year long. Each phase involves monitoring of water for every three months which includes water level measurement, condition of wells, collection of water samples and chemical analysis of water for checking the levels of Fluoride, Nitrate, Electricity Conductivity and other minerals. A consolidated report for every three months analysis is prepared and sent to Ground Water Department for further decision making process. Final technical report Preparation (DPR) & submission.